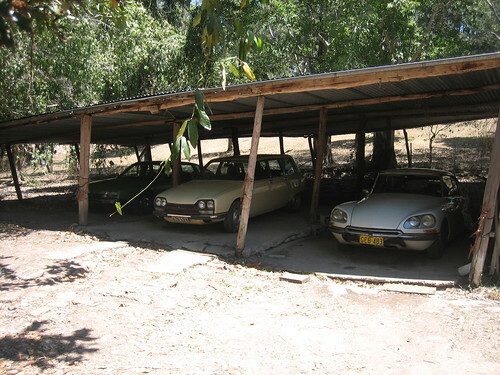 Some more random DS pix I've collected off the net. 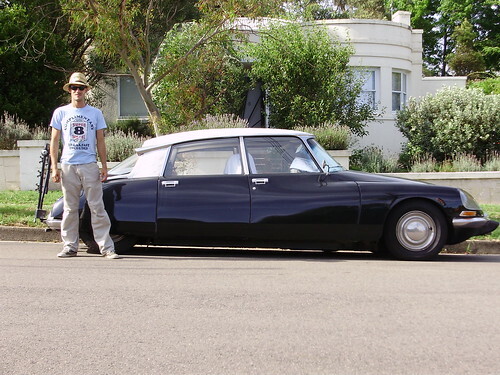 A black DS parked near the Three Sisters at Katoomba. Last edited by Andy N; 11th May 2011 at 11:49 AM. 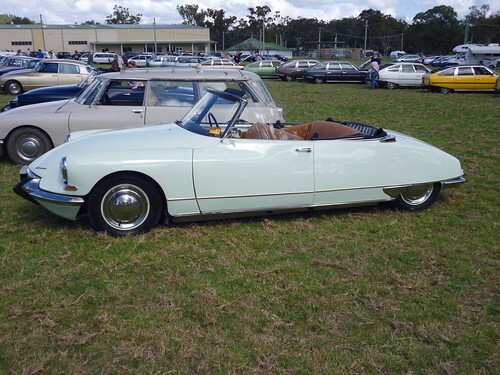 I just found this today....no commentary, the first couple of minutes show a very nice metallic brun pallas 23 to the music of Carla Bruni, then a very good show of the cutaway DS and some extended Citroen publicity, the early red DS which I haven't quite seen all of it pieced together. After seeing this, you still don't "get it" well perhaps you may never understand. For the rest of us enjoy! 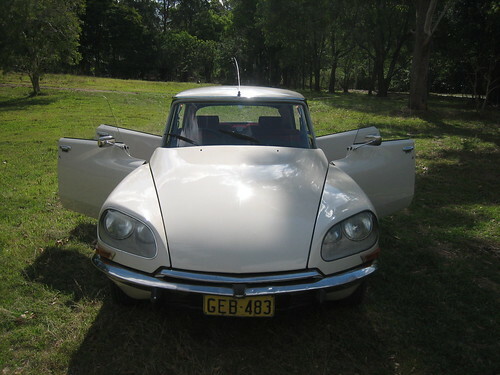 Or search Citroen DS history to get parts 1,2 and 3. OK I promise after this I will step aside and let others post too I just had to get this gorgeous decap on here. I'm a bit worried about copyright on this as it is obviously not my photo. Richo, you have impeccable taste, I have been looking for those particular DS posters for ages. Are you able to let us know how you found them? for what it's worth, shots of my D here (I am too useless to upload images into posts as don't have the skills or time to resize), they have been up before on another post no not too exciting I'm afraid...more in the general section of the site. Last edited by cactus61; 11th May 2011 at 02:23 PM. 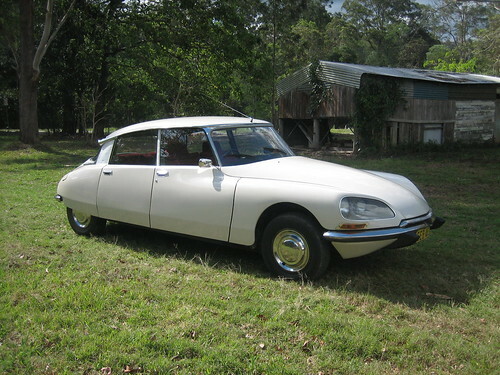 Not a DS, but a D Special with a 21 motor. Looks good from a distance, but is great to drive! Are those your cars Shane? I hope not, especially the black ID I thought it was restored and now under some pine trees. If you want to destroy a car park it under some trees. My CX wagon was parked under some eucalypts and it is now a write off, it is the acidic residue when the leaves break down that kills them. Better to have a car out in the open than under a tree. Loving all the pix! Keep 'em coming. Here's my DS23 in action. Sydney roads meet Richo's adjustable spheres, recorded with a pocket sized camera that's simply perched on the dashboard. And no, it's not dubbed, the background music is a 'period' CD which I reckon suits the cruisy, wafty nature of the car, especially when it's loping down a freeway at speed!!! Nah it's not that black ID, it's a different one. It's so rusty "underneath" it's ready to break in half. A useful parts car as it has a car full of fasteners with the early thread pitch The other is one of the rustiest D's I've ever seen, it is also a "cut and shut" from decades back. It bent in the middle when I tried to drag it off the trailer. I look forward to seeing your lovely DS filmed from another car. A D is a good looking car make no mistake, but they look much much better moving. Sable metalese I think. I haven't checked the paint code. 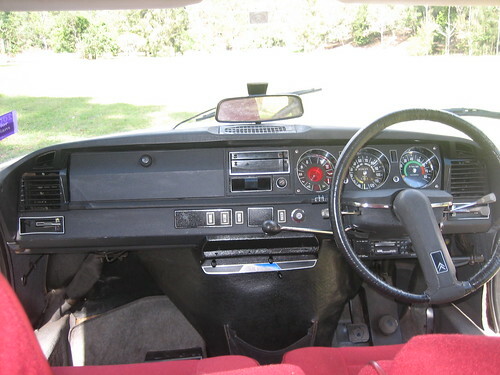 Is that a hazard lights switch under the stereo? That looks really nice. I"ve never like sable metalise (the colour of both my DS and my fathers) on DS's. 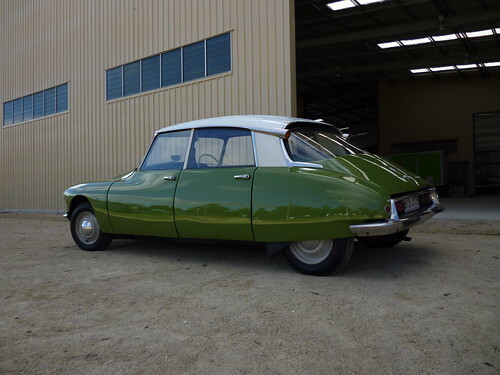 Now I think about it I've never seen one with decent paint in that colour. The paints always buggered on every gold DS I've ever seen (or the respray has been so poorly done all I can see is how bodgey it looks). I don't know what it is, not sure how long it will last there. I like taking photos of DS. My Safari srubs up ok on some shots. 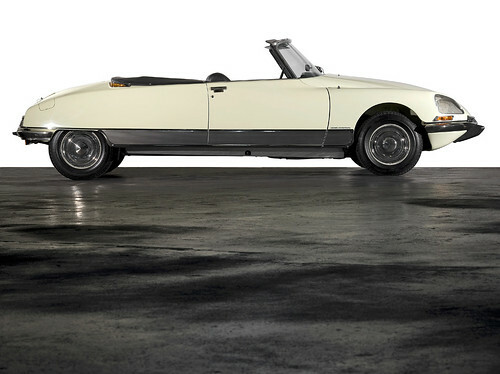 The gold DS21 has Pallas side strips as it should/can have. 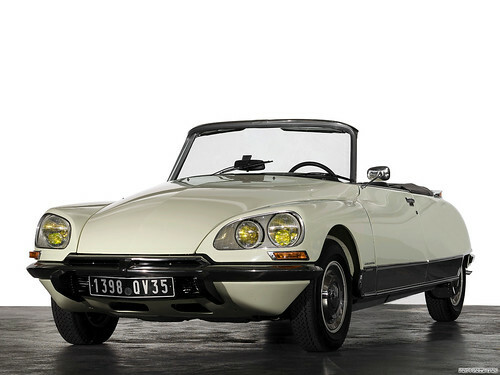 Its just a car made before the word Pallas was on badging. Are they yellow bulbs in the turning lights on that car? It is a great gold. these are not stick on variety, it is unlikely they've been relocated. They are attached with nuts and bolts and they are located in holes in panels drilled at factory. I think they are meant to be above the crease.